If you haven’t yet gotten on board with online giving (or if you’re looking to switch software), there are certainly some best practices to be aware of before you buy.Online donation software is a major purchase for your organization, especially if you’re searching for a comprehensive, multi-use product (or set of products!). Of course, these features will vary based on the scale of the software as well as the type of organization it targets. For instance, a large multi-chapter organization will need much more robust functionality than a small nonprofit just getting started accepting online gifts. Moreover, a community organization sustained only by donations will need a different giving interface than a nonprofit camp looking to accept contributions on top of registration fees. Keeping these core software differences in mind is a good first step, but you also need to consider what more nuanced features your organization may need in the future. While your software may meet your general needs now, can it grow with your organization as your goals evolve? Many online donation providers offer plans with basic features as well as packages that include more fundraising tools. That way, as your nonprofit grows, you can continue to use the same software. As a result, you won’t have to worry about migrating your information to a different software every time you need a new tool. Plus, many providers partner with other nonprofit tools (think: matching gift, prospect research, and marketing tools) so you can integrate everything with your donation software. Additionally, keep in mind your organization’s goals as you plan your purchase. If you don’t know what you’d like to accomplish, there’s no way to know what tools will help get you there! There are a number of factors that contribute to an online giving tool’s price tag. Depending on the features the software offers to factors like the number of constituents it supports, the potential price tag of your fundraising software can vary greatly. It goes without saying that your organization’s budget should play a determining role in the software you purchase. However, even if you’re limited by your nonprofit’s funding, that doesn’t mean you need to settle for a bare-bones free fundraising software. Having a tight budget might constrain your options, but that’s no reason to choose lightweight nonprofit software. In fact, there are lots of affordable options out there that are designed to grow with your cause. Your organization should consider purchasing multiple modules from your existing nonprofit software. Generally, software providers will offer affordable upgrades or fundraising packages if you’re already using some of their tools. Using multiple tools from the same provider will make it easier to paint a full picture of your donors and understand the effectiveness of your online fundraising software. Think about it this way: when your CRM integrates with your fundraising software, information on each donor’s giving history, average gift size, and so much more will be at your fingertips. Alternatively, if you’re using Salesforce CRM, for instance, there are plenty of nonprofit-specific applications that will integrate with your software. Many of these applications are free to use if you purchase the software. OneCause offers Salesforce users a free application called OneCause Connect that allows organizations to transfer donor data between the two tools. As such, purchasing a tool that comes with a Salesforce app will be a better investment for your nonprofit. Having online donation forms that integrate seamlessly with your nonprofit’s website helps to establish trust and eliminate any confusion on who is receiving your supporter’s donations. While some platforms have user-friendly donation tools that let you customize your page, some will require HTML and CSS knowledge to create a completely customized donation page. If that’s the case, you should consider hiring a nonprofit web design company to handle the technical and visual aspects. Even if your platform has an easy-to-use builder, you can still benefit from a professional. Since web designers have knowledge of current trends and best practices, they can not only design a beautiful looking page but also optimize it so that you can maximize your form’s fundraising potential. In addition, hiring a web design firm means that you’ll have a team that can implement custom solutions for your website and online donation forms. In other words, a professional can help you create a giving experience that’s unique to your nonprofit. Does hiring a professional sound good to you? If so, you should look for design firms that have experience or specialize in designing websites for nonprofits. That way, they’ll understand your main goals and how to design the best form that’s unique to your nonprofit. Double the Donation has an excellent list of top design companies to help you get started. Whether you decide to hire a web designer or not, one of the most important ways to personalize your form is to include your organization’s branding. Make sure that your form’s color scheme, logo, fonts, and other design elements are cohesive to reinforce your organization’s professionalism and trustworthiness. When supporters know they’re still interacting with your nonprofit, they’ll be more likely to trust that their payments will be securely processed and less likely to walk away from the donation process. Donor management – Create donor profiles to track information on individual supporters. The information that you track can be anything from giving habits, past engagements, and interests and hobbies. Event planning – Part of event planning is tracking the number of guests that are going to participate and the details of the event. CRMs usually have built-in tools that allow you to manage these aspects and build event registration pages. Analytics reporting – Tracking your donors habits can give you deeper insights into their preferred giving channels, as well as email open and click through rates and social media interactions. Having a centralized location to track the information will make it easier for you to analyze the data and initiate improvements. Because these tools are all extensions of one software, you’ll never have to worry about incompatibly or manual data entry. Even better than a demonstration, a trial will allow you to navigate the product yourself.If you’re able to secure a trial run, have a few different staff members play around with the software to see if it’s a good match for those who’ll be using it. OneCause’s ways to optimize your online donor experience. Once you’ve bought your online donation software, the hard work isn’t done yet. Learn how to optimize your online donation forms. Double the Donation’s list of the top online giving tools. 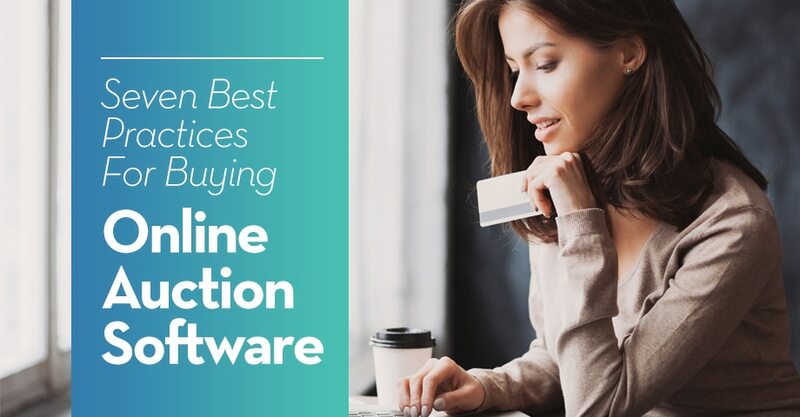 Now that you have our 7 best practices for buying online donation software, check out this list of tools to find the right one for your nonprofit. Salsa’s guide to accepting online gifts. Accepting donations online is a popular way to raise money. This guide will take you through all the basics of online donations.